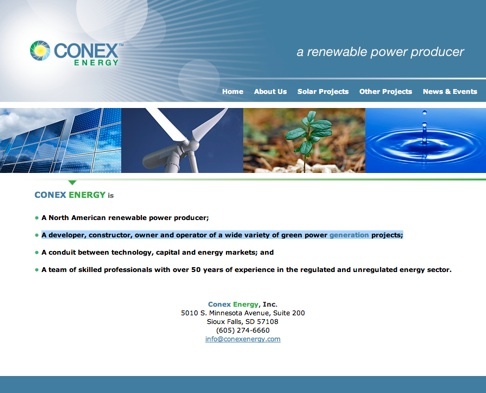 Conex Energy, headquartered in South Dakota, is a developer, constructor, owner and operator of a wide variety of green power generation projects. They needed a new branding and identity program to introduce their new company to the industry. A simple, but clean web was developed to telegraph this message.